I finally finished Leighann Calentine's book Kids First Diabetes Second. That is not to say that it was just so boring that it took me forever to read. Its a reflection of the fact that I just don't have enough me time to read, I was trying to read three books at once AND there were not enough 3am lows to add to my reading time. The book was a bit of a surprise to me. I know that probably sounds rude but I was not expecting a lot. I really didn't know much about Leighann prior to this. I had read her blog on occasion. 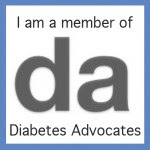 I knew that she was also a Diabetes Advocate but she had only been dealing with the D-monster for four years. I have been at this for over twelve and am now a bit more crass. Would she be able to keep my interest? The answer was a resounding YES! She did a great job explaining things and then used a fabulous panel of experts to help fill in various areas. The balance was brilliant and this is definitely a book that should be given to every newly diagnosed family at least. In reading the book, I once again had a million little pieces of paper marking things that I wanted to write about in a review. There are so many little bits of things that I thought were interesting that its going to take more than one blog post! Since I finished the book last night, I decided to start at one of the last sections that made me laugh and taught me a few things. Kids First Diabetes Second dedicates an entire chapter to "The Language of Diabetes". We all know that diabetes has its own language. We live to watch the response of people when we look at our teen or our toddler and tell them "You had better be high Mister!" We laugh at ourselves and know our kids love it when we ask them to give us "the finger". These were found in the book as well as many more and it turns out that being a diabetes dinosaur, there were a lot of terms that I just didn't know. I love the "Bateman Belt" which we used to just refer to as his pump pouch. Now kids can put so much more in them that the term had to be expanded. I laughed when I saw "diabeetus" and the fact that it causes an eye roll in many. You know that that is how I pronounce the dreaded word right? I don't know if its a Barb thing or a Canadian thing. Perhaps Wilfred Brimley and I just have some sort of weird connection but to me the "diabeetees" thing sounds just as odd. I learned about Flat-lining and dreamed of it happening to my son one day. We don't have a CGM so I can only imagine how great it must be to see. We have experienced both definitions of a gusher. We have seen blood spurt from his finger across the dining room table into his brother's soup. We have also had sites that poured out so much blood I was beginning to think he may need a transfusion but told my son that it was no big deal! I remember learning about SWAG and YDMV when I first joined the CWD parents list. This chapter was full of great stuff. At the end of it the author notes the importance of not looking at numbers as "good" or "bad". That is so hard. I never judge my son by his reading. We do have the debate on whether we have been effective pancreases or not. We use readings as a learning tool now that he is a teen. When he was younger, they were Mom's grade and Mom's responsibility. "Mom failed you." would be the guilt that ran through my head. I would not tell him that but it was how I would feel. As Leighann and many before her have said, our children are so much more than a number. Readings are vital to their health and their well-being but they are just a tool. Its vital that we teach them that as well as helping them to flat-line! 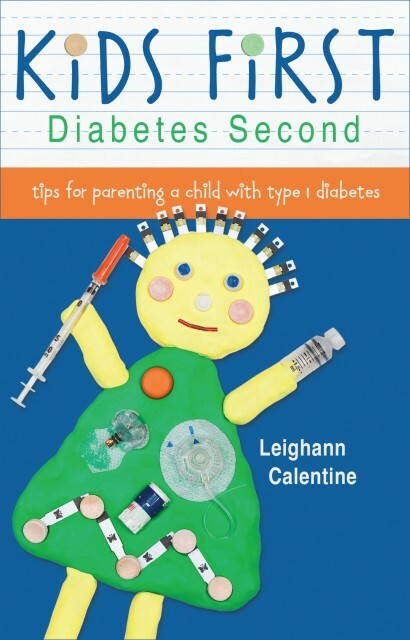 Stay tuned for more great insights and commentaries on Leighann Calentine's Kids First Diabetes Second....or go and pre-order your own copy so you can find all of the good parts for yourself! But its a LOT of work! Is a person with diabetes "disabled"?